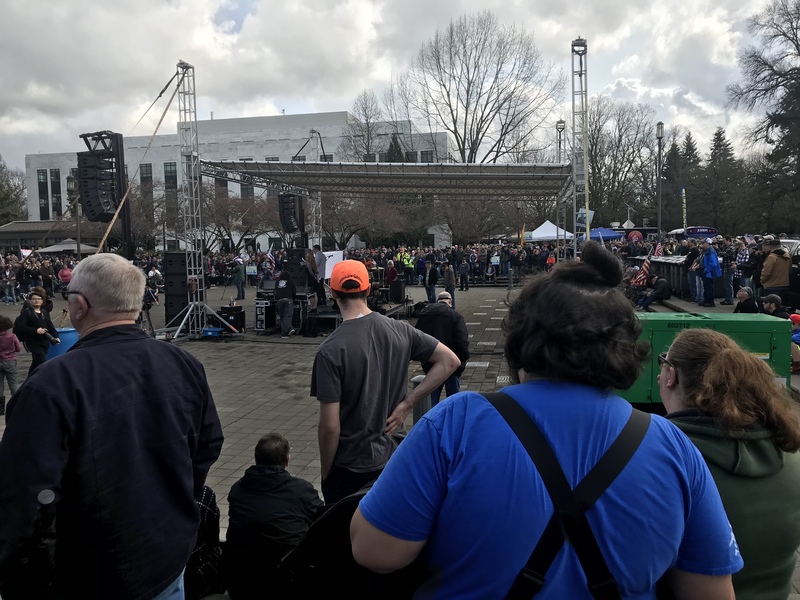 A legitimate huge crowd of Oregonians who won’t let rabid liberal democratic “lawmakers” erase the second amendment. Or rinos either. Moved to a larger venue and appears to be a much larger crowd. jeepnut, bearcat6, WendyZXZ and 8 others like this. Thanks for showing up. Good on you. Silvertip, jeepnut and Injunbro like this. Isn't that Portland, home of the snowflakes from Kalifornia? I look at Oregon is an almost lost cause. Good to know, and I hope them the best, but it ain't looking good for Oregon. I don't know what has happened to the West Coast, but it is a mess now. The influx of people from California explains some of it, but not all, there is a missing element somewhere. I think that like a lot of America, Oregon has become soft and socialist, there a lot of socialists now. There a so many people who are drawn to socialism, and it is perverse. The public schools are to blame for a lot of that, but not all. America is flakey in so many ways now, and it is showing up in Oregon, before it moves to the middle of America. Last edited by MisterMills357; 03-23-2019 at 03:57 PM. Lord. I had to show up, you know. Other wise, Just a phony. Thewelshm, bearcat6, SidecarFlip and 4 others like this. You've pretty much have hit on the reasons... the die was cast decades ago and it is now culminating into what's taking place today. You have generations spawned in the 80's and 90's that were the products of liberal/progressive parents, incubated by liberal schools, and turned into the wave of progressives, that left CA to invade Oregon & Washington looking for a lower cost of living. In 2015, it was estimated that 5 million people left CA during the previous 10 years, and it hasn't slowed down much. In the mean time the "boomers", who are largely conservative, have been dying off, with "replacements" lagging behind and unable to offset the influx of US born and "imported" liberals. I fear if the generation born during the last decade is cycled into the voter roles by lowering the voting age to 16, it's game over and we'll be on the way to becoming the United Socialist States of America. SidecarFlip and bearcat6 like this. Salem is the capital. 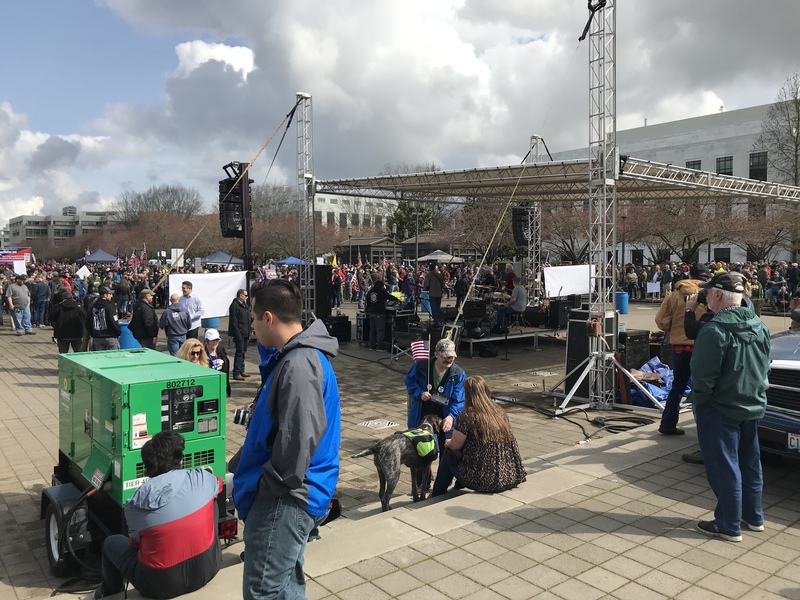 I attended the rally. bearcat6 and sdismukes like this. I stand corrected then but when I think of Oregon I think of Portland. When I think of Portland, I think of snowflakes. Kind of like Illinois. When you think of Illinois, you think of Chicago, not Springfield which is the State Capitol. or here in Michigan, who thinks of Lansing as the state capitol. Not many I guess. In a way, I'm glad I reside in a state that is so far not impacted by the socialist agenda but who knows, we now have a Democrat governor. So far, I'm not impressed at all. Saving grace here is the house and senate is solid Republican for what that is worth. The 'plague' does seem to be spreading daily. Guess the only way to stem it is be vocal and pro-active. From what I see, it's pretty much a done deal. Glad I'm old and just about done. I figure I have at best, maybe 6 years of freedom with firearms left and then it's pretty much finished. I might skate a bit longer in as much as most of what I own is considered sporting long guns, not handguns or the dreaded 'black guns'. It's coming, fueled by ignorance and the media and a bunch of politicians that want total control over the masses. Best part of the Socialist States of Amerika is the media will be the second in line to get it. Freedom of Speech and Freedom of the press will be one of the first things to get the axe, right behind total gun confiscation because an unarmed society is a society unable to defend itself against a government bent on total control. Just I just say that? Sure did. 20 years ago I would have never given it a thought. Times have changed and not for the good either.